Here's the official schedule along with the official song to play before the fun begins. CMDRs Agent 2090 and goldbolt journey to the core! 19 posts and 45 image replies omitted. Click reply to view. Yeah, it was fun landing that. Low angles or high angles? My new banner in Mount & Blade: Warband. Hopefully Bannerlord will also easily allow custom banners. From malnourished scavenger to bitchy librarian. 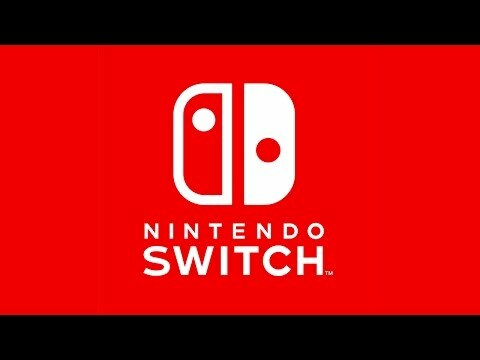 >REDMOND, Wash., Oct. 20, 2016 – In an introductory video released today (http://www.nintendo.com/switch), Nintendo provided the first glimpse of its new home gaming system and revealed that it is called Nintendo Switch. In addition to providing single and multiplayer thrills at home, the Nintendo Switch system also enables gamers to play the same title wherever, whenever and with whomever they choose. The mobility of a handheld is now added to the power of a home gaming system to enable unprecedented new video game play styles. >At home, Nintendo Switch rests in the Nintendo Switch Dock that connects the system to the TV and lets you play with family and friends in the comfort of your living room. By simply lifting Nintendo Switch from the dock, the system will instantly transition to portable mode, and the same great gaming experience that was being enjoyed at home now travels with you. The portability of Nintendo Switch is enhanced by its bright high-definition display. It brings the full home gaming system experience with you to the park, on an airplane, in a car, or to a friend’s apartment. >Gaming springs into action by removing detachable Joy-Con controllers from either side of Nintendo Switch. One player can use a Joy-Con controller in each hand; two players can each take one; or multiple Joy-Con can be employed by numerous people for a variety of gameplay options. They can easily click back into place or be slipped into a Joy-Con Grip accessory, mirroring a more traditional controller. Or, if preferred, the gamer can select an optional Nintendo Switch Pro Controller to use instead of the Joy-Con controllers. Furthermore, it is possible for numerous people to bring their Nintendo Switch systems together to enjoy local multiplayer face-to-face competition. >The first thing to know about the new Nintendo Switch home gaming system: it’s really fun to play. With great graphics, loads of game titles and incredible performance, the Nintendo Switch will provide people with many hours of engaging and interactive gaming entertainment. >But creating a device so fun required some serious engineering. The development encompassed 500 man-years of effort across every facet of creating a new gaming platform: algorithms, computer architecture, system design, system software, APIs, game engines and peripherals. They all had to be rethought and redesigned for Nintendo to deliver the best experience for gamers, whether they’re in the living room or on the move. >Nintendo Switch is powered by the performance of the custom Tegra processor. The high-efficiency scalable processor includes an NVIDIA GPU based on the same architecture as the world’s top-performing GeForce gaming graphics cards. >Nintendo SwitchThe Nintendo Switch’s gaming experience is also supported by fully custom software, including a revamped physics engine, new libraries, advanced game tools and libraries. NVIDIA additionally created new gaming APIs to fully harness this performance. The newest API, NVN, was built specifically to bring lightweight, fast gaming to the masses. >Gameplay is further enhanced by hardware-accelerated video playback and custom software for audio effects and rendering. Some exploration screen shots from Elite: Dangerous. First find, closest to the inhabited bubble, a fairly mundane close orbit binary system. 31 posts and 60 image replies omitted. Click reply to view.